The following quote comes from the Veterans Industries web site of their branch in Tuscaloosa, AL at the Regional VA Medical Center location. Veterans Industriesweb site is very revealing here. It explains clearly and concisely what it is that they do. It is menial taskings (they are calling it training here) that frees up other “highly trained” workers. Or read in reverse, they are not training anyone for a higher paying job since we are busy doing the crap that companies have a hard time finding people to do. I am sort of furious over this personally. To think that they are using disabled and homeless veterans to do menial taskings as a temporary agency and calling it training. What sort of training are we looking at here exactly. I am looking at the above and comparing it to their web site and yes, it is all Labor Intensive training where the focus is using the veterans from their necks down. This is a labor training site, that promotes its warehouse space as a plus. There is no learning or training here. I am having a hard time seeing in this website where packaging asphalt shingles for Tamko Asphalt Products is considered training? Can anyone see wrapping brown paper around roofing shingles is helping a veteran train for a better job? Very labor intensive and exhausting though if you have ever lifted a square of shingles. How about packaging these? Do you feel like you were trained? 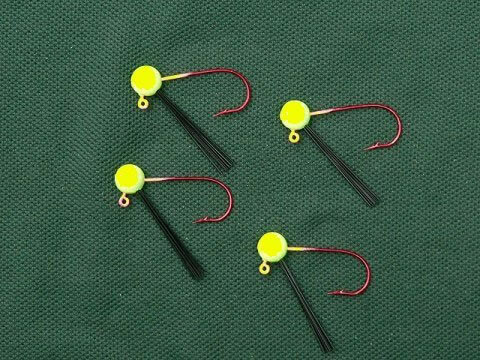 How about packaging these fine dandies for BUSH HOG LURES? Gee how many get stapeled to the card again? Oh here is another perk! Gee that is telling the employers that do not worry, we outsource our slavery also. We will get them to you if need be. And to think, the disabled and homeless veterans, being paid under minimum wage according to the VA’s Website and pay $186.00 a month for maintenance and up keep on where they are housed. It is hard to believe that veterans who have honorably served and those veterans that have been disabled through line of duty or in hostile conflicts are given this as a form of training. One thing I did learn in the Army was how to do manual labor. All veterans received this form of training early on in their military careers. Why are we not training those veterans something that will get them ahead in life? All of the data for this article is coming from Veterans Industries and the Dept. of Veterans Affairs / Homeless. They are into marketing this program to businesses nationwide and they even have a complaint department if the veterans do not work hard enough or that not enough veteran laborers were brought or supplied to a job! If this is allowed to go on, where are the disabled, mentally ill, substance dependant or homeless veterans supposed to get meaningful training that will let them afford a life? I wonder where the ones that have “graduated” from the program are doing? I am having a hard time viewing it in the data and information presented. This is a six month labor program that in the end does not teach a veteran to learn a skill. According to the pages presented this basically shows nothing different than any other temporary agency. Physical labor is not skilled labor. I would not be surprised to find that these companies do not pay the wages from Grant Monies that VA gave them as in the case of Goodwill Industries (the Goodwill takes millions a year from many government agencies not just the VA and have a myriad of programs that are funded through grants from the federal government to a total on their website of $365,000,000.00!). What profit is the VA making through Veterans Industries? I have not found any data yet on that either at this time. I have repeatedly tried to find what job training programs the VA has for veterans. The more I find out about “Job Training”, “Therapeutic Work Experiences”, and other buzz words from the VA it all has boiled down to nothing. In a memo from 1997 I read that the VA was touting how veterans, that went through the training doubled their incomes between 1987 to 1997. In reading that memo I felt the VA was really accomplishing something. Now the more I research, I see it was the veterans themselves in spite of the VA that accomplished this success. In the world it is money that allows us to live as we all know. Today’s minimum wage allows one to afford nothing if you are working full time. Our Nations minimum wage contributes greatly to mental illness, homelessness and substance abuse. If the VA is doing this to its veterans, they are part of the problem (I know what is new with that). The VA does not need a job training program to teach labor. It seems in viewing these Job Training Programs it more a penalizing program for veterans in terrible situations than training. Now I do not know how the Department of Labor with all of these statistics, the DAV, VFW or American Legions who say they liaise with the DOL would allow this to happen. That our Congressional Leaders or someone on the Veteran Affairs Committee would not look at this and say “this is not training” and try to repair these issues. The VA is slammed regarding mental health care issues. To be honest, I would be seriously distressed to be in one of these programs and then looking at job ads figuring out what skills I have learned. I have a few candidates for these job training programs in mind. I would like to see the Secretary of the VA, Chairmen of the Senate and House Veterans Affairs Committees, Regional VA Directors, and anyone else that had their hands in this including representatives of all of the Veterans Service Organizations that have not shown displeasure with this program to attend this for six months. After completion of this program they should then try earning a living on the skills they learned. I’m not sure how this works. I can see the VA covering the normal health care the veteran is already entitled to, but not sick leave and certainly not vacation leave, holiday pay etc. If a veteran that is injured or disabled on a VI job, not related to military duty, do they pay the equivalent workers comp? Say a pack of shingles falls on one. Also, I don’t think the work comp laws let an employer hire anyone, even temporary or part time w/o paying work comp for that employee if they are already paying for others. When my company was audited, they charged us for two painters we paid to paint our offices. As you pointed out, the problem with these so called “transitional work programs” is that they do not offer a true solution to “re-training” since many of them can be (and often times are) automated by factory robotics. If we continue on this path, we all lose in the long run. « 90.What sort of Therapy is this? Veterans: working their way to MINIMUM WAGE?